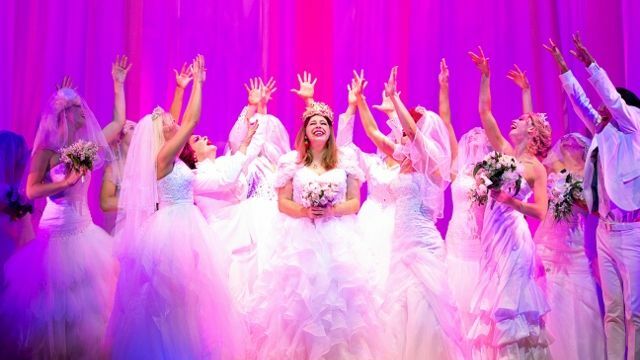 The new Australian musical produced by Global Creatures, Muriel’s Wedding The Musical is confirmed to play Brisbane’s Lyric Theatre QPAC, with previews commencing September 19, 2019 and opening night on Saturday 21 September. Tickets go on sale on Thursday 4 April, visit www.murielsweddingthemusical.com for all details. 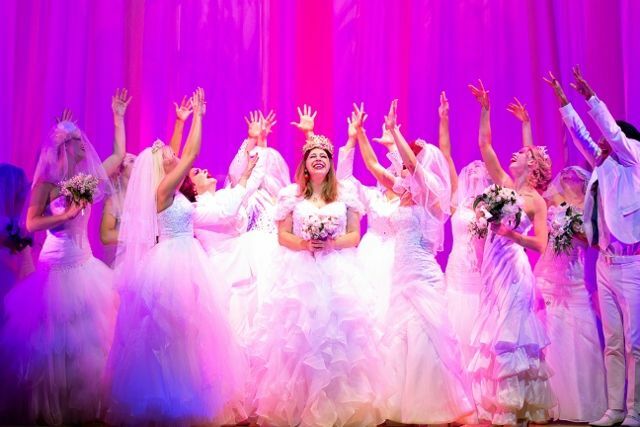 Currently playing at Her Majesty’s Theatre in Melbourne, Muriel’s Wedding the Musical will have a Sydney season at the Sydney Lyric Theatre from June 28 before opening in Brisbane in September. Playing the iconic and much-loved lead role of Muriel Heslop, in her very first professional stage production, is Natalie Abbott. Hailing from the South Coast of NSW, 23-year-old Natalie has been ‘singing since before she could talk’ - according to her mother. And much like Muriel, Natalie left her small coastal town and moved to the big smoke - Sydney, where she completed her Bachelor of Music degree in Musical Theatre at the Australian Institute of Music. Stepping into the role of Muriel’s best friend Rhonda is Brisbane actor Stefanie Jones. Stefanie’s music theatre career began at the age of seven when she appeared as Young Eponine in Cameron Mackintosh’s 10th Anniversary Tour of Les Misérables. A graduate of Victorian College of the Arts, Stefanie’s theatre credits include Liesl in The Sound of Music, Jean MacLaren in Brigadoon, Dream Laurey in Oklahoma!, Dream Lover, Once The Musical, South Pacific and Carmen Live or Dead. The cast also includes David James (The Boy From Oz, The Sound of Music) as Bill Heslop, Pippa Grandison (Mary Poppins, We Will Rock You) as Betty Heslop, Jacob Warner ( The Merchant of Venice, Romeo and Juliet) as Perry Heslop, Caleb Vines (The Wizard of Oz, How To Train Your Dragon) as Malcolm Heslop and Manon Gunderson-Briggs (Muriel’s Wedding The Musical original Sydney season) as Joanie Heslop. Christie Whelan Browne (Muriel’s Wedding The Musical original Sydney season) will play the role of Tania Degano, Imogen Moore (Oklahoma!, Anything Goes) as Janine Nuttall and Catty Hamilton (MAMMA MIA!) as Cheryl Moochmore. Jaime Hadwen(Muriel’s Wedding The Musical original Sydney season) will play Agnetha Fältskog with Laura Bunting (Wicked, Mary Poppins) playing Anni-Frid Lyngstad, Maxwell Simon (Green Day’s American Idiot, The Boy From Oz) as Björn Ulvaeus and Evan Lever (Anything Goes, La Cage Aux Folles) as Benny Andersson. Chelsea Plumley (Sunset Boulevard, Grease) will play the role of Deidre Chambers, Brice Nobes will be played by Jarrod Griffiths (professional debut) with Stephen Madsen (Muriel’s Wedding The Musical original Sydney season) as Alexander Shkuratov, Dave Eastgate (Doctor Doctor, Open Slather) as Ken Blundell and Kenneth Moraleda (Muriel’s Wedding The Musical original Sydney season) as Charlie Chan. The Muriel’s Wedding The Musical ensemble cast includes Colin Dean, Tom Sharah, Joshua Robson, Kaeng Chan, Noni McCallum, Ashleigh Rubenach, Prue Bell, David Ouch, Jan Di Pietro, Zoe Coppinger, Andrew Seymour and Caitlin Quinn. Muriel’s Wedding The Musical is a theatrical version of PJ Hogan’s iconic hit film, updated to today by the writer himself with music and lyrics by Australian award winning songwriters Kate Miller-Heidke and Keir Nuttall with additional songs by Benny Andersson Björn Ulvaeus and Stig Anderson written for ABBA.